For fifteen years, PITT ARTS has been connecting Pitt students to the vibrant arts and culture scene of Pittsburgh. Undergraduate students can enjoy the symphony, opera, ballet, jazz concerts, museum and gallery exhibits, independent films, lectures, plays, spoken word, and so much more. 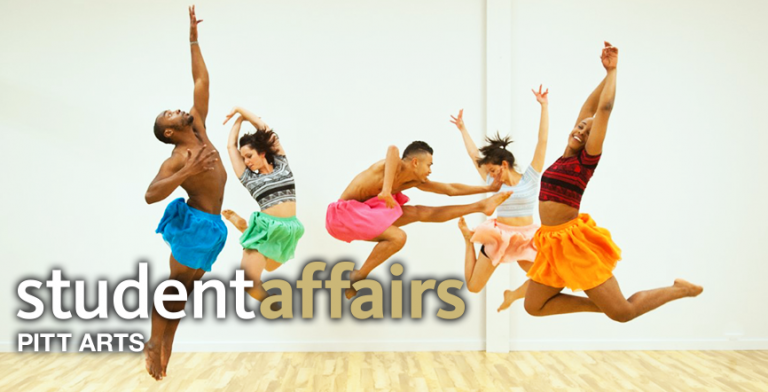 PITT ARTS offers 110 Free Arts Encounters programs including free tickets to excellent seats, free transportation, a free meal or dessert, and an encounter with stars of the art world, including celebrities like Joshua Bell, Spike Lee, Philip Glass, and Midori. PITT ARTS offers programs all throughout the weekend—and all PITT ARTS offerings are completely alcohol-free. Students can sign up for an arts program with a friend or on their own. Even if they attend individually, they can be sure to meet some new Pitt students who share their values—a deep appreciation for the arts. Communities are forged, and friendships are made on PITT ARTS’ outings. Parents have been outstanding supporters of PITT ARTS over the years. During Pitt Telefund’s Parents’ Campaign, parents have donated more than $90,000 to the PITT ARTS program over the past seven years. PITT ARTS is a big hit with parents and Pitt families. Every year during Family Weekend, PITT ARTS hosts three Arts Encounters programs just for undergraduates and their families. This way, families get to experience exactly what their students do. As someone who hosts one of these programs every year, I can say that parents and families are very grateful and have the same wonderful memories that their children do on PITT ARTS’ programs. It is indeed a pleasure to get to know the families, little siblings, parents and see them all together with their student. With some of the most polite, intelligent and charming students typically on the PITT ARTS programs, it is great to see that the apple does not fall far from the tree when meeting the lovely families on Family Weekend. Each year more than 15,000 Pitt students also enjoy the benefit of attending six of the local museums totally for free by using their valid Pitt Oakland campus ID, thanks to PITT ARTS. These are the Carnegie Museums of Art and Natural History, Phipps Conservatory and Botanical Gardens, Andy Warhol Museum, Mattress Factory, Soldiers and Sailors Memorial Hall and Museum, and the Senator John Heinz History Center. And parents, when you visit your student at Pitt, ask them to pick up some Cheap Seats tickets at PITT ARTS so you can attend a Broadway musical touring through Pittsburgh together, or the opera or symphony, or ballet, or a play. There are eleven organizations to choose from with deeply discounted tickets available to the Pitt community. The nice thing about Cheap Seats is as long as the Pitt person is attending, they can purchase up to four tickets and their guests do not have to be Pitt constituents. Families and friends not from Pitt are welcome to join their Pitt student and get the same cheap prices! One of Pitt’s true jewels, PITT ARTS also takes its part in the Outside the Classroom Curriculum. Students scan for credits for the Appreciation for the Arts goal area. Most students who attend PITT ARTS programs have more than enough for all four years of the OCC. They attend because they love it. PITT ARTS is a one of a kind program in the higher education landscape, and Pitt students truly treasure it.